1In a mixing bowl, sift together flour, baking soda, and baking powder. On low speed of mixer cut in butter until mixture resembles cornmeal. 2In a small mixing bowl beat eggs, add sugar and lemon and beat thoroughly. Blend egg mixture into flour-butter mixture. 4On lightly floured surface roll dough to 1/8 inch thickness. 6Bake 375°F for 6-8 minutes (take out before the bottoms of the cookies turn brown). 7Blend fronting ingredients until desired consistency. 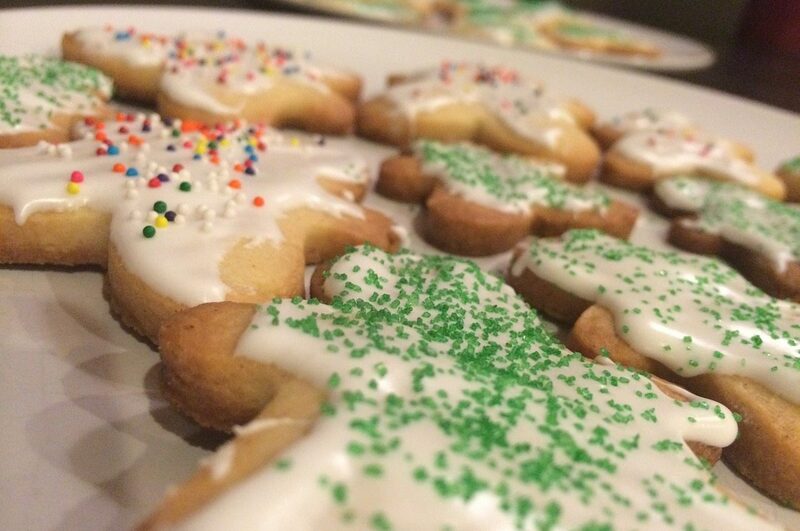 A simple recipe for making sugar cookies, just like your mom used to make.